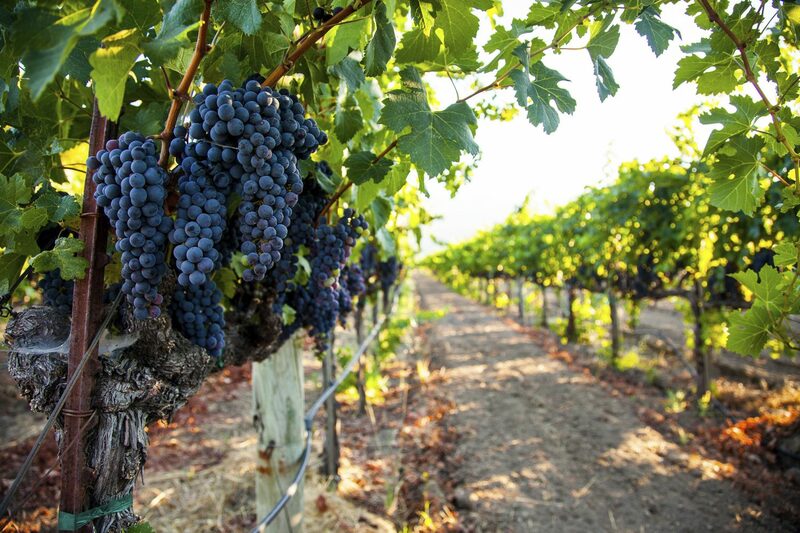 When you come to Napa Valley, you expect amazing crafted wine. There are so many fantastic vineyards and wineries to choose from, you could make a whole vacation out of the experience! In fact, that’s just what we recommend — taking a vacation and trying all the amazing Napa Valley wine that you possibly can. One winery we recommend is Frog’s Leap Winery. 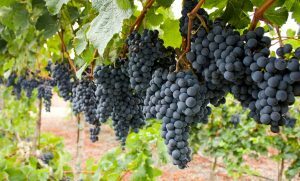 Why does this winery stand out? Keep reading, and come to visit us at Churchill Manor in Napa, to find out! The story of Frog’s Leap Winery is lengthy and rich with detail — we couldn’t possibly recount all of it here. Fortunately, the winery has the (humorously amended) full story on their website. The short version is, the winery began in 1972, before winemaking exploded in popularity in Napa Valley. You could say that the Frog’s Leap Winery is one of the original wineries in the valley! It’s also a family-run business, so you can trust that the wine you’re tasting is both delicious and made with care. No mass-produced grocery store wine here! Napa Valley goes for authenticity and big, flavorful taste. The winemakers at Frog’s Leap live by the philosophy of balance, restraint, and respect for the terroir. Like we said before, here you’re not going to find wine that’s mass produced in a factory. The people here care about what they make, and the environment in which they make it in. They take care not only to bring customers the best wine possible, but also to preserve the blessings of the area that they have. The winery offers so much for visitors to do! There are three varieties of tastings. The Guided Tour and Tasting (Mon-Fri, 10:30 AM and 2:30 PM, by appointment) gets you an inside look at the way the wine is made. These tours are popular — book quickly! There’s also the Signature Sealed Tasting (every day from 10 AM to 4 PM, by appointment) provides you a taste of the four current vintages and offers the opportunity for you to ask questions. Finally, there’s the Garden/Cellar tasting (Fri – Sun, 10 AM to 4 PM, by appointment) giving you the chance to explore the beautiful gardens or cellar with some wine to taste. With this much to offer, you’ll have to come back for multiple visits! Churchill Manor is conveniently located close to Frog’s Leap Winery and plenty of other great Napa Valley wineries and vineyards. And when you choose to stay at Churchill Manor, you know you’re in for quality and comfort. Our beautiful rooms help you unwind after a fun day sightseeing, with a variety of amenities at your disposal. 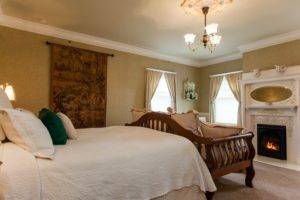 Since Frog’s Leap Winery is in the Rutherford APA, why not stay in our Rutherford room at Churchill Manor? second-floor room features an antique king carved bed with comfortable seating, a wood-burning fireplace, and an antique 2-person soaking tub next to the fireplace. Each morning, start your day off right with one of our delicious breakfasts! And our location on Napa’s Main Street means you’re never too far from any of the great Napa sights, sounds, and of course food! Don’t wait, book a stay at Churchill Manor and start your incredible wine adventure today!